I've got a bunch of giveaways going on this month, from a Mermaid Travel Pack to celebrate the upcoming release of Defiance, to a way for you to grab 100 FREE BOOKS! Check out all these great giveaways below! 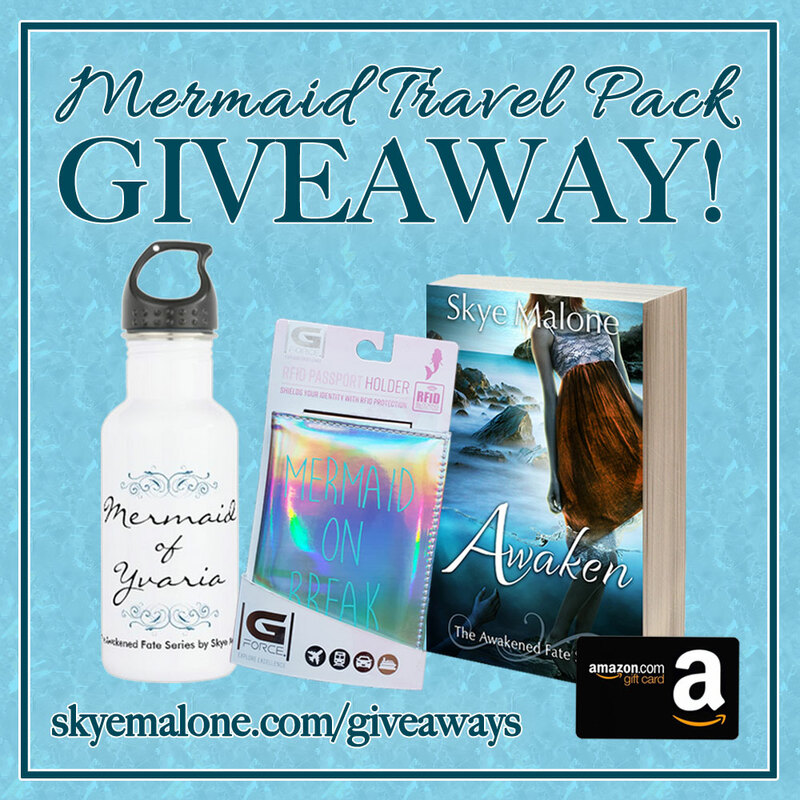 Mermaid Travel Pack Giveaway to celebrate DEFIANCE: Book Eight of the Awakened Fate Series! Get over 100 fantasy books… All for FREE! Portal to Fantasy Presents… Spring Into A Great Fantasy Read! Urban Fantasy Series Starters Giveaway! Want to be sure to learn of my next awesome giveaway?